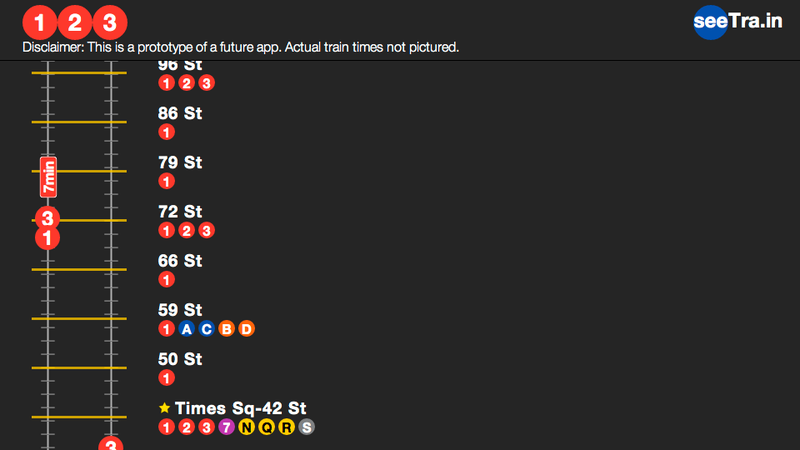 An HTML 5 App That Tracks NYC Subways in Real Time? Yes, Please! Millions of New Yorkers will be floored to know that a new HTML5 webapp called Seetra.in will soon track subways in real time, meaning your subway escapades just got a whole lot simpler. Shown off over the weekend at PDF: Applied, Seetra.in is just a prototype web app for now. Though it works on both the iOS and Android devices, you're going to need an internet connection to use it and you can only get that in a few stations. It just works on the 1,2, and 3 line, which runs along the west side of Manhattan. So you'll have to remember to use it before you go underground and when you happen to be in that part of town.